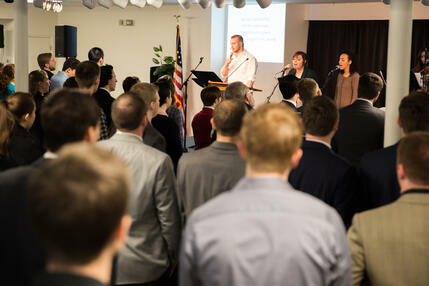 The Mission of Henry College is to prepare Christian men and women who will lead our nation and shape our culture with timeless biblical values and fidelity to the spirit of the American founding. Educating students according to a classical liberal arts curriculum and training them with apprenticeship methodology, the College provides academically excellent baccalaureate level higher education with a biblical worldview. For footnotes and references, see the official text. “The purpose of Christian education is always twofold,” according to Robert Littlejohn and Charles Evans (2006). “We want our students to grow spiritually, intellectually, and socially, and we want them to foster similar growth in society” (p. 18). To be of any earthly good, a person must understand the world around him and recognize what it needs. He must be capable of discerning between what is true and good and beautiful in society and what is not, and he must be empowered to make a difference through perpetuating the former. In short, he requires wisdom and eloquence. Our activist must understand himself to be the inheritor of a dependable tradition of wisdom (rooted in a transcendent, authoritative source) that he has the responsibility to steward and to articulate to his contemporary world. (Littlejohn & Evans, 2006, p. 18). In this formulation, “wisdom” refers to the Spirit-informed understanding of all of life, and “eloquence” refers to the ability to communicate that understanding persuasively to others and thus to impact the culture. These two goals have always been a hallmark of classical education. Johann Sturm, the great Reformation educator, said that the goal of his Christian academy was to instill “a wise and eloquent piety” (Spitz & Tinsley, 1995). To achieve this end, Sturm built his academy around the classical liberal arts. Patrick Henry College has as its mission the cultivation of “timeless Biblical values” and the formation of leaders equipped to “shape our culture”; that is, to “wisdom” and “eloquence.” Thus, PHC has adopted the educational model of the classical Christian liberal arts. The ancient Greeks and Romans had one kind of education—pragmatic, technical, job- oriented—for their slaves, equipping them to serve their masters and to contribute to the economy (Joseph 2002). They were given a “servile” education, from the Latin word servilis, meaning “worthy of a slave.” But free citizens of the Greek democracy or the Roman republic needed to cultivate all of their human powers, developing skills of thinking and communication to enable them to contribute fully to the polis of which they were a part. To this end, the Greeks and Romans developed a “liberal” education, from the Latin word liberalis, meaning “worthy of a free man” (Glare 1983). But it was not Greeks and Romans but Christians who systematized—and Christianized—liberal education. It was the church father Cassiodoras in the 6th century who first drew up the Seven Liberal Arts: the trivium of grammar, logic, and rhetoric; and the quadrivium of arithmetic, music, geometry, and astronomy. Medieval theologians, in inventing the university, added to the liberal arts (the skills of the human mind) the three liberal “sciences” (the realms of knowledge): natural science (knowledge of objective reality, including empirical science and philosophy); moral science (knowledge of human beings, including history, government, and law); and theological science (knowledge of God, including Scripture and theology). This is the context for hailing theology as the “Queen of the Sciences,” since God is the source and the foundation for all knowledge and, hence, all education (Kimball, 1986). The Renaissance was sparked largely by a rebirth of classical learning, focused not just on the logic of the scholastics but the rhetoric of the Greeks (Kimball, 1986). The classical liberal arts principle of returning to the sources led, in the field of theology, to a re-emphasis on the Bible, and thus to the Protestant Reformation. And when Luther and Melanchthon planned the Reformation schools, to enable all Christians to read the Bible, they designed them so that not just the elite but the masses would not just learn to read but would also receive a “liberal” education (Faber 1998). And while acknowledging the Aristotelian notion that liberal education pursues knowledge as an end in itself, Luther related the concept to his doctrine of vocation. He maintained that cultivating one’s God-given talents by means of the liberal arts can equip Christians for whatever arena of love and service to the neighbor that God calls them to (Veith 2006). Classical liberal arts education flourished again with the neo-classical movement of the 18thcentury and was instrumental in the nation’s founding (Pangle & Pangle 1993). But it gradually faded in the 19th century, and in the 20th century was largely supplanted by Dewey’s Progressive education. The liberal arts came back somewhat in the 20th century in higher education with core curricula and “Great Books” programs. And yet, the original conception of the liberal arts has been all but lost, as the common, coherent, wide-ranging curriculum of the liberal arts has given way to narrow academic specialization. In many, if not most, institutions, even the core curriculum has become fragmented, with students choosing from a menu of isolated classes that have little to do with each other and little to do with the intentional cultivation of the human mind. Recently, not only the liberal arts but the classical liberal arts have been rediscovered by Christians endeavoring to create an alternative kind of education for their children than that offered in mainline secularist schools. Douglas Wilson (1991) pioneered an approach to Christian education built upon the Trivium of grammar, logic, and rhetoric. Today, over 200 private Christian dayschools are members of the Association of Classical & Christian Schools (2006), following Wilson’s curriculum and principles. In addition, there are an untold number of classical Christian schools unaffiliated with ACCS, such as those connected to the Society of Classical Learning and various denominational institutions. Classical Christian education has also become a major curricular model for homeschoolers (Veith & Kern, 2001, pp. 67-81). Jessie Wise and Susan Wise Bauer’s The Well-Trained Mind: A Guide to Classical Education at Home (1999) has become a bestseller for W. W. Norton, a major secular publisher. Other widely-used classical resources for homeschoolers include Laura Berquist’s Designing Your Own Classical Curriculum: A Guide to Catholic Home Education (1994) and the online tutorials SCHOLA, Escondido Tutorial Service, and the Great Books Academy. Classical Conversations is a national network of homeschool co-ops and seminars. Today a complete K-12 classical curriculum is available online, in real-time classes, through online schools such as that of Veritas Press and Wilson Hill Academy. There is even a magazine for families pursuing this educational approach, Classical Homeschooling. The dramatic academic success of the classical Christian model—as evident in test scores and student achievement (Veith & Kern, 2001, pp. 25-26)—is highly significant, since an increasing number of Christian young people are now receiving a better education than their secularist peers, which, in turns, equips them for high-level Christian service and cultural influence. Despite the success of homeschoolers and classical Christian schools, few Christian colleges have taken an active part in this educational reform movement. Patrick Henry College was founded specifically to serve the best and the brightest of Christian homeschooled young people. Thus, the classical liberal arts—with a strong Biblical foundation—is at the heart of PHC’s educational philosophy. PHC has a rigorous and extensive core curriculum of 63 credits, plus foreign language. The University of Chicago, which is famed for its liberal arts core, only has 45. The National Endowment for the Humanities, in a project designed to promote liberal education, proposed 50. The PHC core embraces all seven of the classic liberal arts: grammar (Research and Writing; four courses in a foreign language;1 courses in logic, rhetoric, mathematics, geometry, music, and science (with biology and physics taking the place of the ancient “astronomy”). In addition, PHC requires two courses in the history of the United States, and two courses in the history of the Western World, two Western Literature courses, two courses in the theology of the Bible, Principles of Biblical reasoning, philosophy, Constitutional Law, economics, and two courses in Freedom’s Foundations. The classical liberal arts, of course, is not just a sequence of courses but a conceptual framework and a methodology. The seven liberal arts cultivate mastery of language (grammar), analysis (logic), communication (rhetoric), aesthetics (music), numbers (mathematics), spatial relations (geometry), and empirics (astronomy) (Veith & Kern, 2001, pp. 11-16). Thus, other courses in a variety of subjects can contribute to this breadth of education. The liberal arts stress content, the imitation of excellence, the pursuit of knowledge that is valuable in itself, and the exercise of the whole range of talents that God has given. 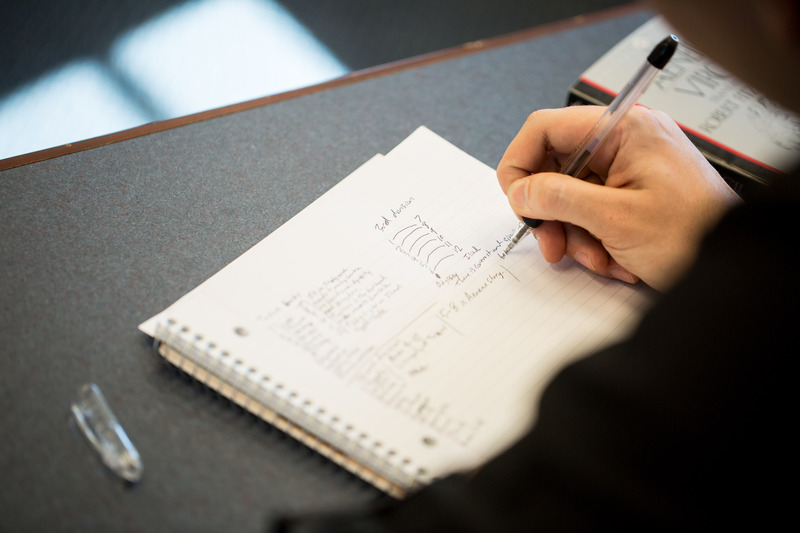 The liberal arts curriculum is broad in scope, but its parts are integrated with each other, as students explore the connectedness of all the disciplines. The core curriculum embraces the whole range of the content areas, as classified according to the “Natural Sciences” (biology, physics, philosophy), the “Moral Sciences” (history, law, the humanities), and the “Theological Sciences” (the Bible, theology, and the undergirding of every course in Christian truth). The foundational liberal arts are the Trivium of grammar, logic, and rhetoric. These have to do with mastering language. Grammar is about exploring the structure, rules, vocabulary, and conventions by which language operates. Logic has to do with using the mind to analyze and discovertruth,aswellastodistinguishbetweentruthandfalsehood. Rhetoric is the art of effective communication that persuades others, and is thus a key to cultural influence. Grammar has to do with basic knowledge; Logic with understanding; Rhetoric with creative personal application. The Trivium is a particularly powerful concept, in that every subject can be said to have its grammar (the foundational facts, rules, and information), its logic (the thinking required for understanding), and its rhetoric (its original application). In fact, the Trivium’s emphasis on knowledge, understanding, and application is a direct parallel to Bloom’s Taxonomy, so that an ancient concept of education is confirmed by modern educational psychology. Each part of the Trivium has its appropriate method of learning: grammar by lecture, reading, and practice; logic by dialectic (that is, Socratic questions and discussion); and rhetoric by student performance and application (Joseph 2002). 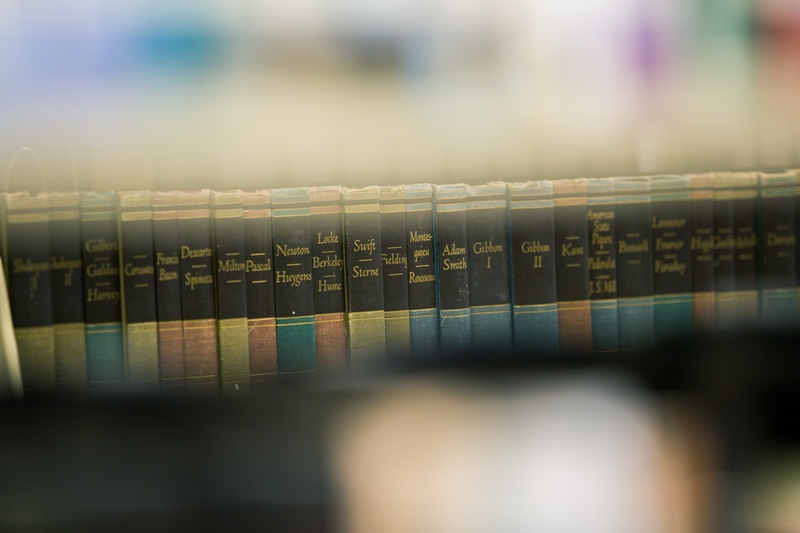 At Patrick Henry, classes tend to be heavily oriented to reading (often of the “great books” in the field) (grammar), discussion (logic), and student projects (rhetoric). PHC’s apprenticeship requirement exemplifies the rhetorical dimension of classical education, and it also follows the model of how classical universities prepared young people for their professions, giving them a rigorous grounding in the liberal arts and then sending them out to practice their craft under a master/mentor. The classical liberal arts core curriculum is a true core. That is, every student in every program takes every class. There is no electivity in the core, which means that professors in the upper level programs can know what their students have already been exposed to—what books they have read, what subjects they have studied, what skills they have developed—so that learning can build on a common foundation. One objection to having a 63-credit core would be that it would seem to necessitate fewer courses in the major program. Actually, though, since Patrick Henry—in another unusual feature— has a restricted number of majors and specialties, this is not necessarily the case. A number of the core classes tie into the Government major: A two-semester “Freedoms Foundations” sequence, studying issues of government by discussing classic texts on the subject; two semesters of American history; two semesters of European history; Economics; and Constitutional Law do advance the government program in crucial ways. The same holds true for the liberal arts majors, with core classes directly impacting the programs in literature, history, and liberal arts. The upper division courses also employ a liberal arts methodology. For example, the various Government tracks use the specialized “great books” that have shaped each discipline. Learning the basics of the field (grammar), in depth discussions (logic), and writing projects (rhetoric) characterize every class. In fact the three-part structure of the curriculum also reflects the classical liberal arts. The core, where students learn basic knowledge from a number of fields, corresponds to grammar. The majors, in which students arrive at greater understanding, as they study a field in depth, corresponds to logic. The apprenticeship requirement, in which students creatively apply their knowledge and understanding in a real-world context, corresponds to rhetoric. Thus, a Patrick Henry College education is unusually comprehensive, rich, and effective. Another element of the classical liberal arts, according to Littlejohn and Evans (2006), is a particular “ethos,” which they describe as “the essence or the ‘feel’ of the school as a community of faith and learning” (p. 53). Ethos is the inarticulate expression of what the community values. It includes the quality of the relationships within the school, the traditions, the professional comportment, the approach to classroom management, the out-of-class decorum, the aesthetic personality of the school reflected in the student and faculty dress codes, the visual and auditory imagery, and the physical plant itself. And ethos is interfused with the academic culture including curriculum, pedagogy, faculty preparation, and student learning. Ethos is the way in which the school expresses (or doesn’t) truth, goodness, and beauty through the experiences of every person who enters our halls. (pp. 53-54). For example, Littlejohn and Evans point out that “the physical environments of our schools are a prime opportunity to teach our students that beauty is something that God values and that ought to characterize all of our lives.” They argue that “there is no excuse for schools that purport to teach the absolute values of truth, goodness, and beauty not to make their students’ surroundings beautiful” (p. 67). Patrick Henry College promotes an “ethos” appropriate to its ideals. Students dress professionally. They agree to abide by high standards of ethics and personal conduct. The buildings and furnishings are attractively designed, with allusions to the neoclassical styles associated with our nation’s founding. High standards of quality are evident, from the furniture in dormitory rooms to the food in the dining commons. Foundational to all of the classical liberal arts as studied at PHC is the Christian faith, which provides a framework and a unifying narrative for all of PHC’s classes. Theology at PHC, as at the original classical universities, is the Queen of the Sciences. Far from usurping or limiting learning, God’s Word offers a bigger vision of truth than merely human ideologies can provide. It is the standard of truth by which all human ideologies are judged. At the same time, the Christian faith gives a grounding for truth wherever it is found, shows the limits of human ideas in a fallen world, and frees Christians to explore all of learning (Veith, 2003). A “liberal arts education” is associated with the pursuit of knowledge for its own sake and is generally contrasted with the practical, job-focused training of “vocational education.” Actually, though, liberal arts education has historically been complementary with a very practical approach to on-the-job training: the apprenticeship methodology, which is a distinctive of Patrick Henry College. Though this approach goes back to classical and Biblical times, apprenticeship as a formal educational methodology had its origins in the medieval guilds. A young person would learn a trade or a profession under the tutelage of a “master” in that trade or profession. Working side by side with the master and helping him do his work, the apprentice learned by means of practical, real world experience. These universities taught the classical liberal arts. Though professional colleges developed in specialized fields, such as theology, medicine, and law, the foundation for them all was the liberal arts. The liberal arts involved the study of the arts (grammar, logic, rhetoric; arithmetic, geometry, astronomy, music) and sciences (natural science, moral science, and theological science) for their own sake, rather than what we would call “vocational training.” But the broad education of the liberal arts was considered foundational for all professions, which, for the most part, were entered into through apprenticeships. With the Reformation, the liberal arts were connected to “vocation” in the theological sense, that God calls every Christian to a life of service in the family, the country, and the workplace. The Reformation was accompanied by an educational explosion, motivated by the necessity to equip all Christians—women as well as men, plow boys as well as nobility—to read the Bible and thus to enter a personal relationship with God through His Word (Deuteronomy 6). Significantly, the Reformation schools and home schools did not stop with teaching basic literacy. They adopted the curriculum and the pedagogy of the liberal arts. “You parents cannot prepare a more dependable treasure for your children,” said Luther, referring to earthly blessings, “than an education in the liberal arts” (Plass, 1989, § 1319). In his influential educational manifesto, “To the Councilmen of All Cities in Germany, That They Establish and Maintain Christian Schools,” Luther took up the question of whether it is not enough simply to teach people how to read in their own language and concluded that educating children through the liberal arts is particularly beneficial to society. Opposing the monastic view that only “spiritual” callings are legitimate vocations for Christian service, Luther stressed that the “conduct of government” should also be of concern to Christians. “In order outwardly to maintain its temporal estate, the world must have good and skilled men and women, so that the former may rule well over land and people and the latter may keep house and train children and servants aright. Now such men must come from our boys and such women from our girls. Therefore the thing to do is to teach and train our boys and girls in the proper manner” (Luther, 1524). The norm, however, was for young people to study the liberal arts—whether on the primary level or at the university—and then enter their professions, usually through some form of apprenticeship. Universities came to offer special programs in law, medicine, and theology. But even then, neophytes prepared with this more specialized training generally apprenticed themselves to “masters” who mentored them with on-the-job experience. In America’s early years, young men, including Thomas Jefferson and Patrick Henry, entered the legal profession by becoming apprentices of practicing attorneys (Legal education, 2004). Apprenticeship was also the route to becoming a medical doctor (Medical education, 1996) and to becoming a pastor (Rowden, 1971, pp. 83, 86). The Apprenticeship methodology is still used in professional training today. Even with the advent of modern medicine, the apprenticeship model survives in medical schools (Glossary of Pediatric Clinicians, 2006) with future doctors put on the hospital floor as “interns” under the supervision of an experienced attending physician. Today’s theological seminaries also often include an apprenticeship phase—variously termed “vicarage year” or “mentored field experience” or “practicum”—in which the pastor-in-training works in a congregation with an experienced pastor. Business schools also generally give students on-the-job experience through internships. The apprenticeship methodology is at the heart of the distinctive educational approach offered by Patrick Henry College. By offering vocation-related experience and application of classroom learning, apprenticeship is the culmination of PHC’s classical Christian liberal arts curriculum. Apprenticeship at PHC is integrated with the school’s classical Christian liberal arts educational philosophy. Though grammar, logic, and rhetoric are foundational subjects—the Trivium of the classical liberal arts—they also each carry their own pedagogical approach (learning, dialectic, and performance) and can serve as a conceptual framework for a comprehensive education (knowledge, understanding, and application) (Veith & Kern, 2001; Joseph, 2002). Apprenticeship represents the “rhetoric” stage of the liberal arts. Students, having learned the “grammar” of their disciplines and understanding its “logic,” go on to apply what they have learned in the “rhetoric” of their own creative performance in the field. Furthermore, because PHC students have been equipped by the core liberal arts curriculum, they tend to have a strong knowledge base (grammar), are skilled in analysis (logic), and can express themselves well in speaking and writing (rhetoric). Thus, as they move into their major programs, where the Apprenticeship Methodology is featured, they are well-prepared to excel in their future callings. The liberal arts make connections between disciplines. They also make connections outside of disciplines, to the formation of free citizens, to the formation of human beings as they live not just to themselves but in relationship with others. And education in the Christian tradition particularly has always been concerned with how the Christian is to live in the world, from facing moral issues to discerning personal vocation—that is, how to live out one’s faith in the various callings of the workplace, the family, the church, and the culture. So a liberal arts education, especially a Christian liberal arts education, is not simply a matter of the classroom but needs to extend into the rest of a student’s life. In a liberal arts college, that means, among other things, that academics and student life need to be connected with each other. Patrick Henry College makes a special effort to bring these realms together. Higher education today tends to segregate and compartmentalize students’ academic pursuits from their social life. This often becomes institutionalized with highly professionalized Student Affairs offices and highly specialized Academic Affairs programs existing side by side, but never communicating or interacting with each other. Students, though, must navigate through both worlds in order to have a successful college career. Much recent scholarship in the area of Student Affairs points to the harmful effects of this compartmentalization. G. S. Blimling and E. J. Whitt (1999) in their attempt to identify best practices in college and university Student Affairs programs decry the “fragmentation and compartmentalization in higher education” (p.11). Blimling and Whitt say that institutions of higher education are becoming more complex, and with that complexity has come a loss in the sense of community and a type of collective disassociation. Students are one of the primary losers in the fragmented educational process presented on many college campuses (p. 10). Adrianna Kezar (2001) has studied three ways of remedying the current disconnect between academics and student life: restructuring; planned change; and cultural change. Patrick Henry College integrates academics and student life in all three ways. Both the Dean of Academic Affairs and the Dean of Student Affairs meet together weekly for the sharing of information and mutual consultation. 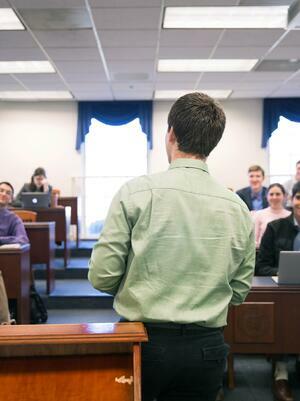 This meeting becomes a forum for discussing special student needs (for example, the academic accommodations needed by a student afflicted with Lyme’s disease), working out conflicts (for example, scheduling difficulties between a class-sponsored concert and a student-organized play), and solving problems (for example, student complaints about an academic policy). Also, the Dean of Student Affairs is an associate member of the Faculty Senate (which consists of the faculty as a whole). The Dean participates in the deliberations, giving the perspective of Student Life. 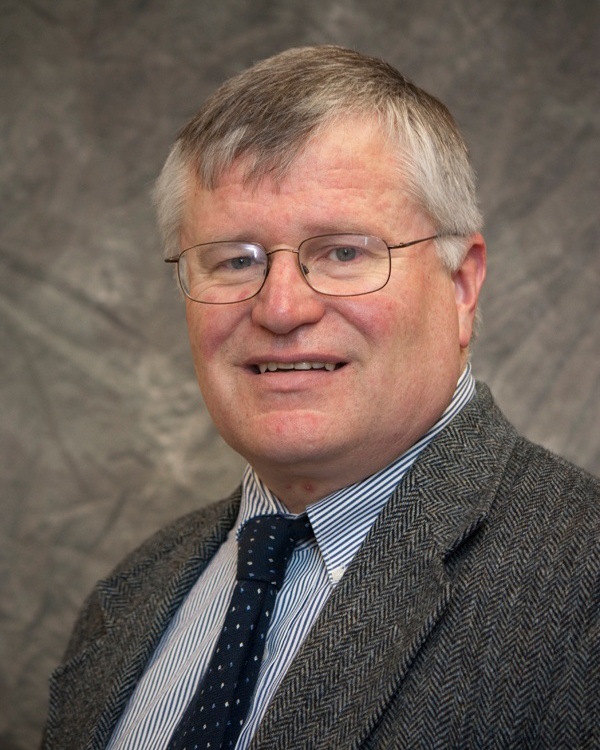 The Dean also participates in Faculty Workshops, including giving presentations on topics such as identifying depression and other problems in students and getting them the help they need. Students themselves play a significant role in college governance. Students are represented at the Faculty Senate, the Executive Cabinet, and other committees. And the Student Senate can propose policies that are considered according to the Governance Protocol. PHC plans educational events and learning activities outside the classroom as part of the regular activities of student life. Some of these are formal activities; others are informal. Daily chapel activities include formal worship on Mondays, Wednesdays, and Fridays. The President’s office schedules speakers who will deliver substantive and challenging content in their messages. Tuesdays are for Christian Study Groups, with the campus community divided into small groups for Bible study, prayer, or a book study. These often involve the participation of faculty and staff, who thus have the opportunity to interact with students outside of a classroom setting. At times, the whole campus community has studied the same book—for example, Littlejohn and Evans on the liberal arts in the Christian tradition—which provides a common intellectual experience, creates common frames of reference, and promotes an ethos of reflection beyond the classroom. Thursdays are for Wing Chapels, in which students meet in their residence wings for Bible study, worship, and mutual support. These are led by the Resident Assistants, who thus can interact with the students in their wing on a deeper level. PHC also hosts a number of lectures and seminars throughout the year. Each semester includes a Faith & Reason Lecture, for which classes are cancelled to hear a faculty member and, alternately, a visiting scholar present a paper on a significant issue involving both Christianity and scholarship. This is accompanied by small group discussions, a special all-campus luncheon, and a panel discussion consisting mainly of questions from the student body. Coffee House Lectures, often sponsored by student organizations, feature smaller, more intimate presentations. Then there are seminars throughout the year on topics such as the job search, LSAT preparation, and the like. Less formally, the RAs operate the Residence Life Programs, the purpose of which “is to promote and advance student learning and development within each of our living areas on campus.” Each RA puts on at least one program per semester. Drawing on faculty members and outside facilitators, the topics have included the development of study skills, discussion of health issues, presentations on spiritual disciplines, and particular topics such as “Women and Culture” and story- telling. Student Affairs cooperates with Academic Affairs in operating the Peer Tutoring Program, which matches students who are on academic probation or who need help with particular subjects with student coaches. are also alert for troubled students, and, when necessary, the Office of Student Affairs refers them to professional counselors. As Kezar (2001) has shown (pp. 68-71), the most important factor in the integration of student life and academics is the campus culture. 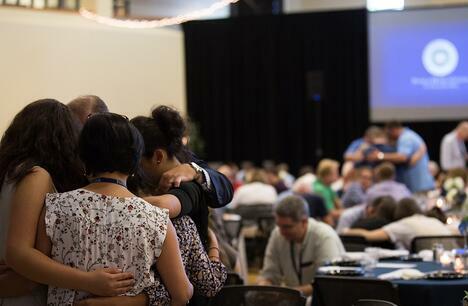 PHC seeks to create an authentic community of faith and learning. The core curriculum, which all students take with no electivity, gives students a common academic experience that they can talk about and apply outside the classroom and that draws them together around books and ideas. G. D. Kuh (1996) stresses the importance of creating a common vision of learning and developing a common language. PHC students really do come together around the classical Christian liberal arts, an educational approach that is taught and reinforced throughout the campus culture. And the common language of “telos” (the end or purpose), “vocation” (the individual calling from God to love and serve one’s neighbor according to one’s gifts), and “ethos” (the entire community climate) can be heard not only in classrooms and lecture halls but in the coffee shop, the dining commons, and informal conversations. PHC fosters student responsibility, leadership, and initiative. The college’s drama group, Eden Troupe, is entirely run by the students, who put on stellar performances that they themselves have planned, produced, and directed. Student clubs, such as the De Toqueville Society, bring in their own speakers and also organize social events. Streaming Media is a group for student filmmakers. PHC students also tend to be activists, getting involved in groups such as the International Justice Mission, which battles human trafficking. Even academic-related activities, such as the award-winning debate, Model UN, Mock Trial, and Moot Court teams, depend heavily on students to handle logistics and coaching. The student culture includes a statement of community standards and an honor code, which students agree to uphold. 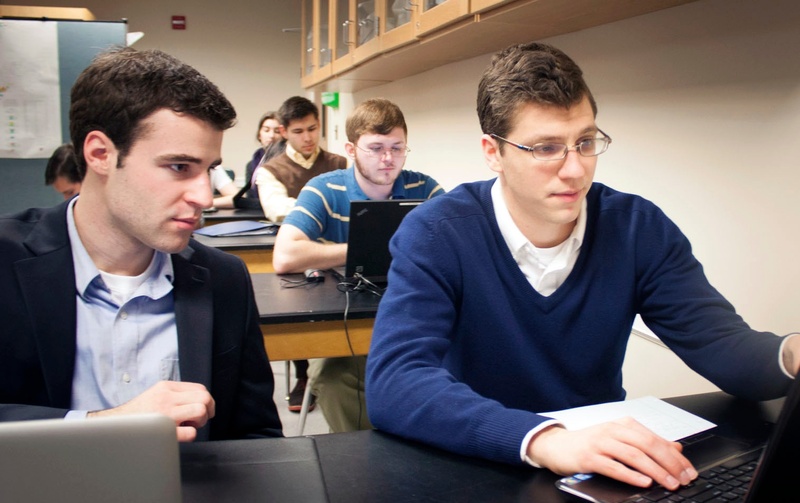 Students also follow a dress code during class times to underscore the seriousness of academic pursuits and to cultivate a sense of professionalism. Student disciplinary issues are handled in a way to encourage personal responsibility, appealing to a sense of honor, Christian integrity, and love of neighbor, as opposed to a system of external control and forced compliance to external rules. The concept of ethos, as described in Littlejohn and Evans (2006), which is quoted earlier in this statement of the college’s philosophy of education, describes well the inter-relation of every facet of an institution committed to giving students a liberal arts education. Again, ethos “includes the quality of relationships within the school, the traditions, the professional comportment, the approach to classroom management, the out-of-class decorum, the aesthetic personality of the school.” Student life, no less than the academic programs, shapes the ethos of PHC as a community devoted to both faith and learning. Questions about the Core Curriculum?